Comecer will be present at the WFNMB. 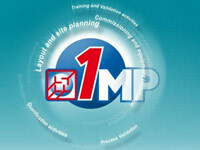 27 – 31 August, Cancun – Mexico, booth no. 34 . WFNMB is the 11th Congress of the World Federation of Nuclear Medicine and Biology. This meeting promotes the scientific exchanges and training opportunities for students, technologists and young researchers. 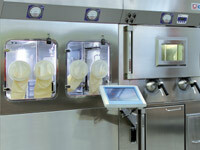 One of our more interesting solutions puts together a Class A Laminar Flow Hot Cell, two interconnected Vials Dispensing Systems to guarantee production continuity, a Formulation Unit Dose Calibrator, and an Integrated Dose Calibrator with Automatic Delivery System. Not only your reference for shielded hot cells and dispensing systems, but also a network of experts that can offer you Solid Target modules, Monitoring systems and much more. 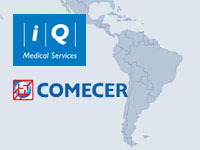 Comecer’s strategic partnership with IQ Medical Services in Latin America brings better sales and service support in offering our customers a complete PET and SPECT solution of equipment and services through our combined network of experts. We look forward to seeing you at the booth to discuss your needs. ALCEO, our Solid Target Processing System, has been fully revisited and updated. 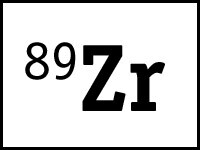 ALCEO METAL for 89Zr production and labeling (89Zr-ANTIBODIES) will be released shortly.